The Academy Awards are the perfect background pageantry for a cocktail party; just let the clinking of ice be louder than the sound on the TV and the live commentary from your guests be wittier than the red carpet hosts. And with the event always falling on a Sunday night, other best practices emerge: welcome guests a little earlier than usual (6:00 or 7:00 p.m.) so you can wrap up before the show does; put out a stack of ballots for those eager to cast their own vote; and opt for a soundtrack of ‘50s jazz singers in celebration of the charm of Old Hollywood. 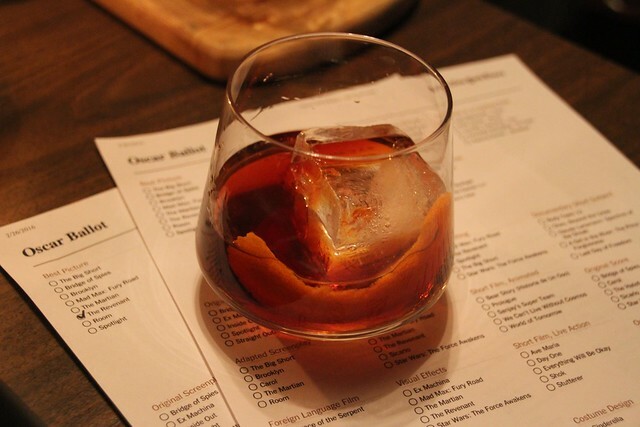 The event also lends a cocktail party—and cocktail menu—a glamour that is distinct from the every day. 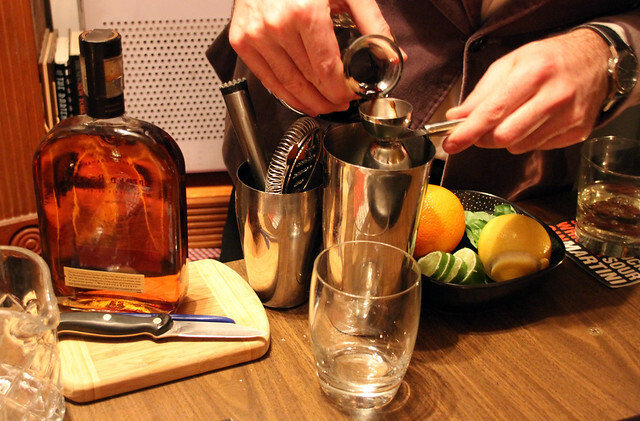 Serve a few cocktails “up.” Add a few that feature champagne. Pair them with an easy mix of gourmet appetizers. Encourage cocktail attire to make the mood, and the evening is made. 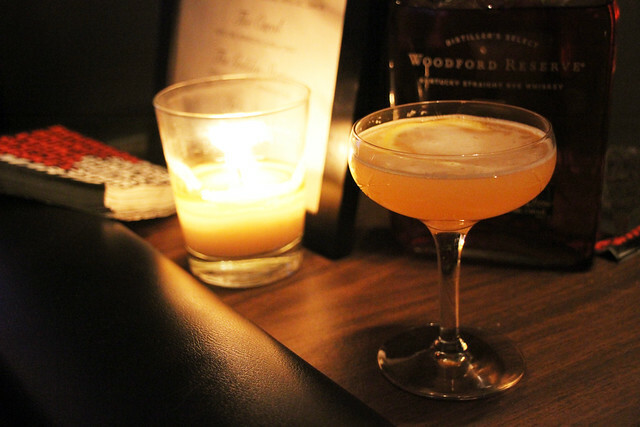 We led our cocktail list with bourbon and rye, featuring Woodford Reserve’s strong line of offerings. 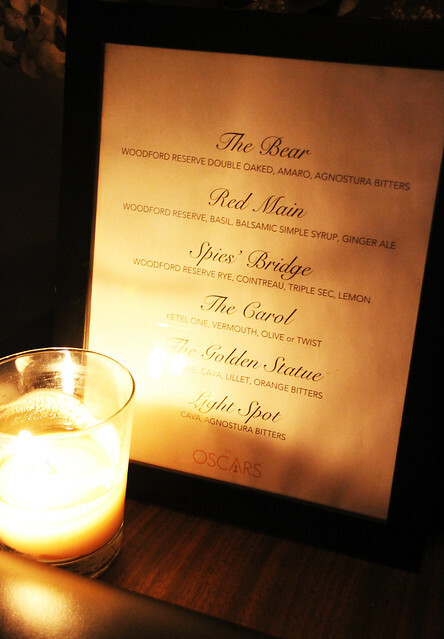 Using Oscar-nominated films as naming inspirations, some came in on the heavier, richer side (like The Bear), while others were lighter and brighter (Spies’ Bridge). Muddle the balsamic syrup, basil and sugar cube in a mixing tin. Add bourbon and ice and shake hard. 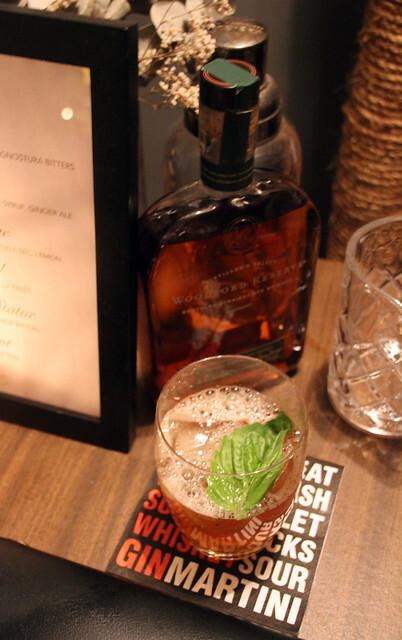 Strain over fresh ice cubes into an Old Fashioned. Top with ginger beer and garnish with basil leaf.